WELCOME TO THE SUNKEN BEER GARDEN! 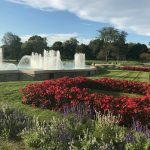 That line would have been the first thing you read when walking into the Garfield Park Sunken Gardens on a Thursday evening from the months of July – October. 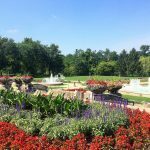 The gardens are located in the heart of Garfield Park, Indianapolis’s oldest park. If you haven’t discovered the beauty of the sunken gardens yet, any time is the time to go. Designed by landscape architect George Edward Kessler in 1908 in the style of classic French Victorian, the gardens sit on three acres of land and include paved walkways, a variety of flora, and three gorgeous fountains. 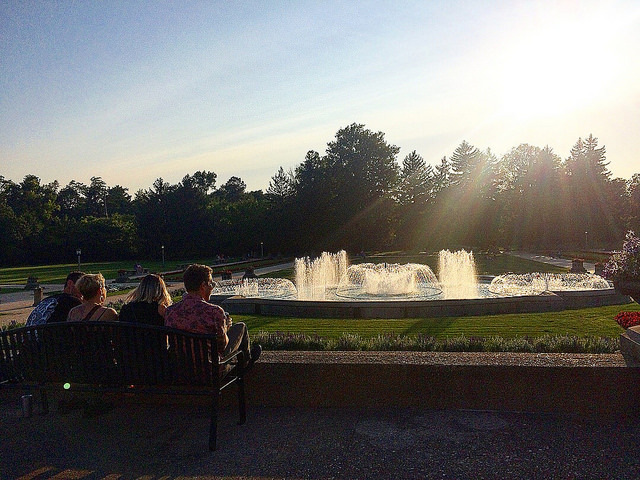 A picture-perfect setting for an evening sunset on an Indiana summer night. 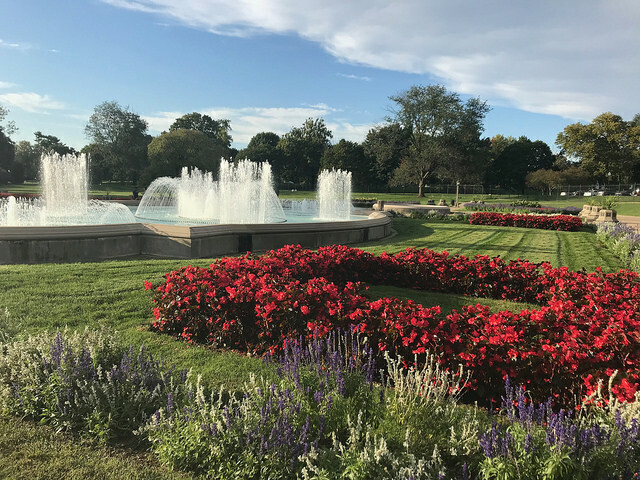 You can read about George Edward Kessler and his impact on Indianapolis parks here and view a video of the gardens by Michael Bishop here. 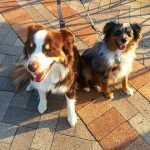 The Sunken Beer Garden, hosted every Thursday night from July 19 to October 11, was Big Car’s signature park program during the 2018 season. 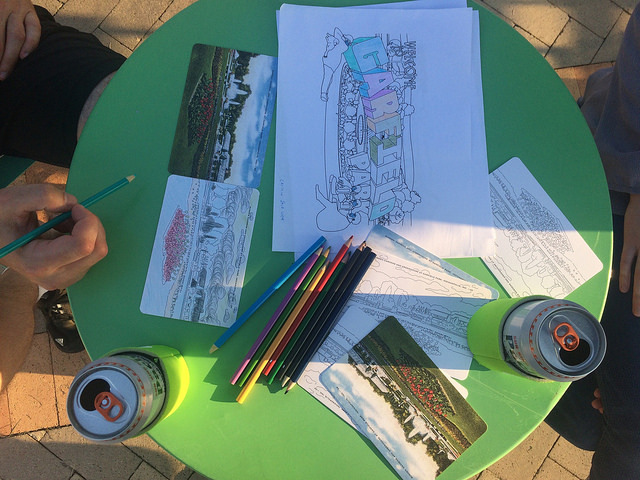 The idea to develop a beer garden program was born out of a greater effort to support Big Car’s own neighborhood of Garfield Park — encouraging connectivity between the organization’s home at Tube Factory Artspace and one of the area’s greatest amenities, the park. 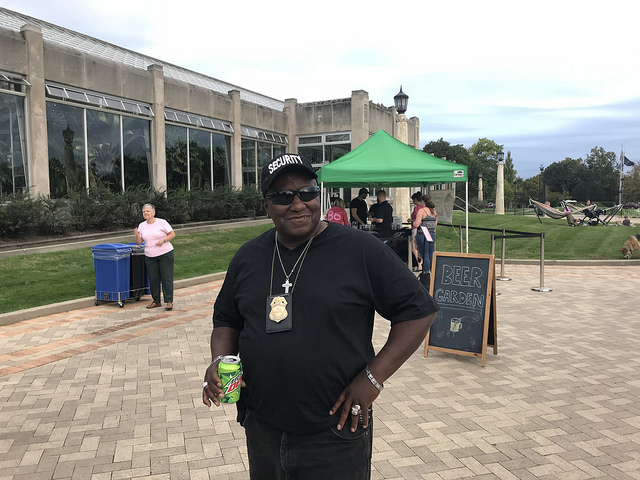 Each Thursday, we took over the Sunken Gardens at Garfield Park with games, seating, food trucks, and interactive art activities for all ages along with a beer tent for those 21-years-of-age and older. 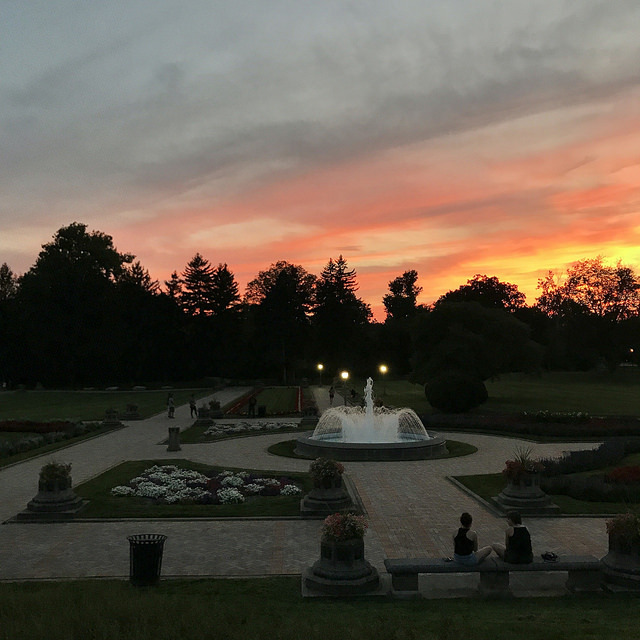 Throughout the summer and fall, the Sunken Been Garden became a spot for neighborhood residents to meet up, families to picnic, friends to play games, and pet owners to exercise their dog(s). 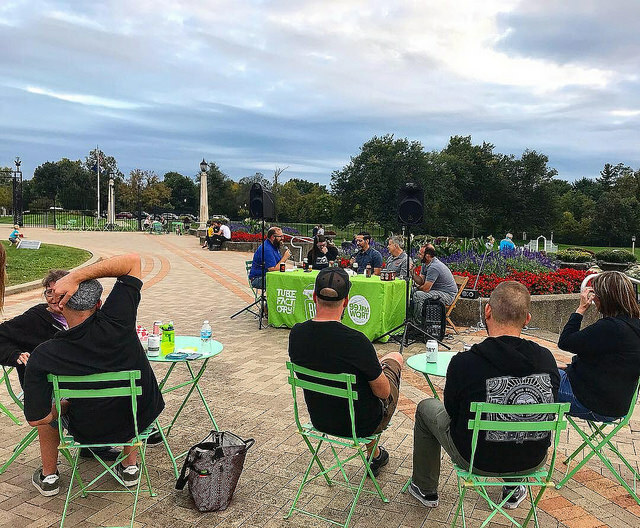 To utilize the space in a new and meaningful way, Big Car Collaborative and its project partners, Friends of Garfield Park and staff from Indy Parks’ Garfield Park Conservatory, set out to provide a variety of social and engaging programming. 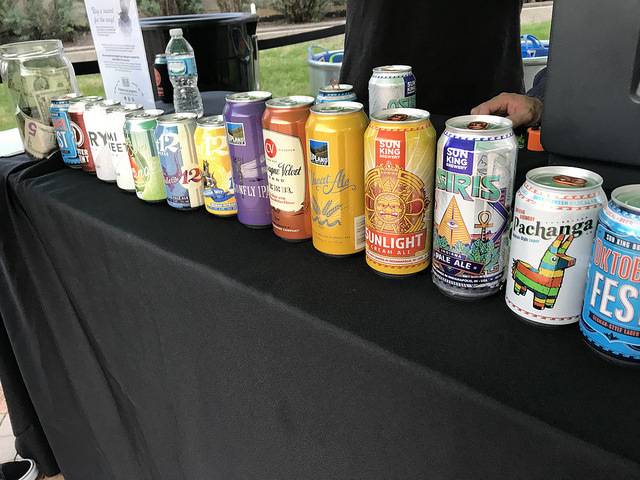 The weekly beer garden also featured a variety of beers from Sun King Brewing, Upland Brew Co., Flat12 Bierwerks, Centerpoint Brewing, and Ash & Elm Cider. 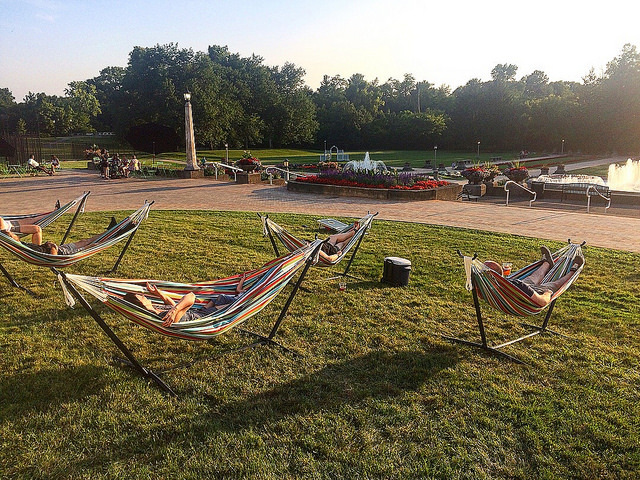 During the evening, one could wander the gardens, relax in bistro seating or hammocks, and enjoy the friendly, human-scale programs that were offered. 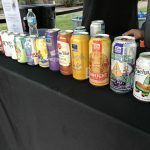 Through our connections with local businesses, we were also able to bring food trucks to the Sunken Beer Garden. 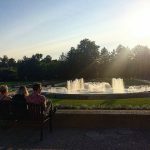 Located in an area with few restaurant and eatery options, the Garden became a hotspot for friends and families to grab a bite to eat and watch the sunset. Food trucks included Chomp’z, Boxburger, Beach Bum Barbecue, Greiner’s, and Scout’s. 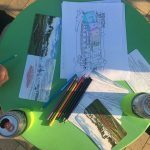 The Sunken Beer Garden was a great opportunity to support our local restaurants and small businesses. Additionally, tips from beer garden sales for five nights went to different Garfield Park Neighborhood events and organizations, such as South Indy Quality of Life Plan (SoIndy), Día de los Muertos at the Garfield Park Arts Center (GPAC), Garfield Park Neighborhood Association, and Bean Creek Neighborhood Association. 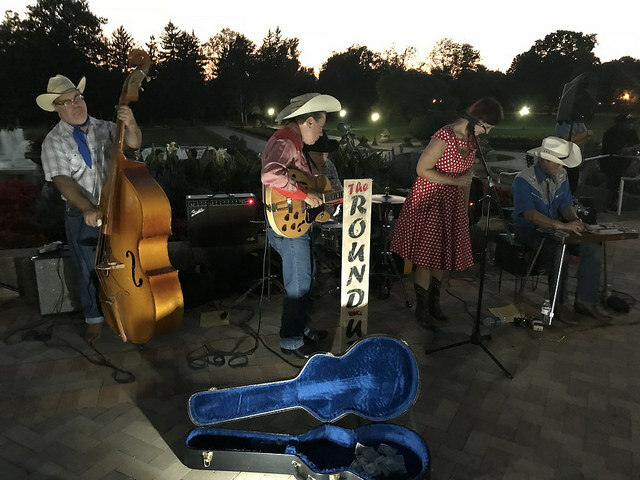 For the last five Thursdays, each evening enjoyed a theme, local musicians who played live music, and local artists led art activities unique to the event. 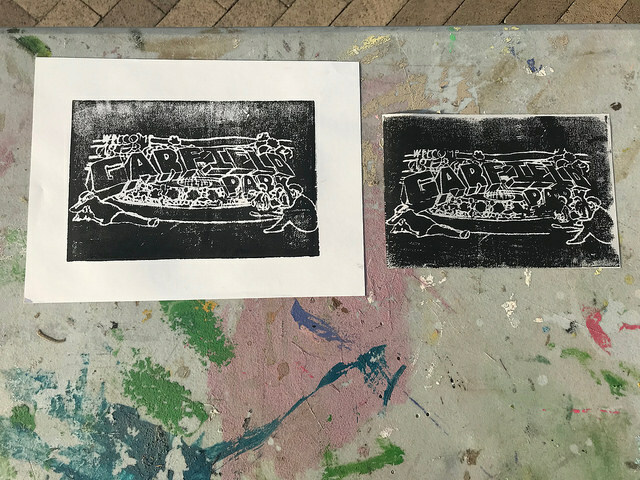 Additional arts programming included mandala-making out of natural elements with local artist Kris Hurst, getting your face painted with Jordan Thomas, making custom wood-block prints with Michael Mirable, or crafting with Brittany Kugler. Big Car also brought in a variety of musical acts for visitors to enjoy at the beer garden. These acts included acoustic guitar by Duncan Kissinger and Adam Kuhn at the Garfield Park Neighborhood Night, accordion by Dianna Davis for Octoberfest (along with a beer panel discussion by Hoosier Beer Geek), Latino-American music by Yuri Rodriguez for Hispanic Heritage Night, honky-tonk by the RoundUps for Rhinestone Country Night, and DJing by Big Car’s own resident sound artist Sean “Oreo” Jones. On October 11, the last night of our beer garden programming, was themed Halloween Night at the Sunken Beer Garden. We brought out a projector and screen, heaters, and chairs to make a comfortable movie viewing area. We then showed the silent horror Fall of the House of Usher while local artists Sean Smith, Mark Tester, and Ellie Rettew played a live spooky soundtrack. 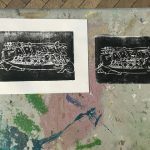 In addition to this, GPAC led Halloween-related art activities. This night turned out to be one of the most successful evenings in terms of attendance at the Sunken Beer Garden. 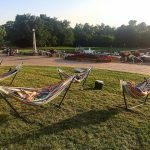 In total, we had about 2,800 park visitors to the Sunken Gardens once Big Car added 24-hour comfortable seating and shade, with an average daily visitor increase of 34 people per day during regular open hours. 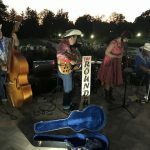 On average, the Sunken Beer Garden brought about 150-200 more participants to the Sunken Gardens in a single evening, about 4-5 times the typical participation. 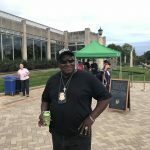 Of participants surveyed, about 60 percent were current residents of the Garfield Park neighborhood and walked to the event. Thirty percent of current residents were repetitive weekly visitors to the Sunken Beer Gardens. 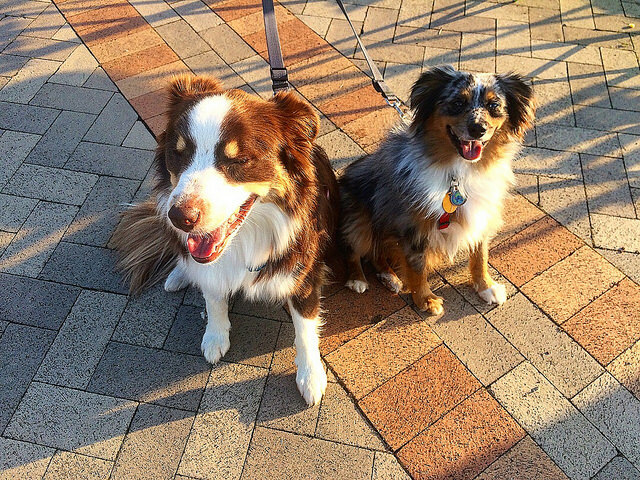 Fifty-eight percent of those surveyed said they were at the Park due to the Sunken Beer Garden. 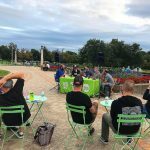 Overall, the Sunken Beer Garden was a great success, thanks to the Indianapolis Parks Foundation and Indy Parks. See more photos of the entire 2018 programming here.